AVR Embedded Systems Workshop mainly focuses on the students and hobbyists eager to learn about Advanced features of AVR Microcontroller. They will get a chance to expand their knowledge in interfacing LEDs, GPIOs, Potentiometers, LCD Display and their application in real time projects. The duration of the workshop will be one day with 8 hours hands on practical session. Each person will be provided with the non-takeaway AVR kit for hands on. This session would deal with the basics of Microcontroller. the focus will be on the AVR series micro controller - ATMega8, which is one of the most powerful and widely used 8 bit micro controller. This session would deal with the basics of 'Embedded C', writing your First 'Embedded C' program in AVR studio. Program compilation and Loading compiled C program into the microcontroller. This session deals with Interfacing LEDs, Switches to the GPIO pins and generating LED pattern using switches. This session deals with Interfacing Potentiometer to the ADC input of the AVR micro controller and hands on performing operations like controlling intensity of the LEDs by reading potentiomenter data. 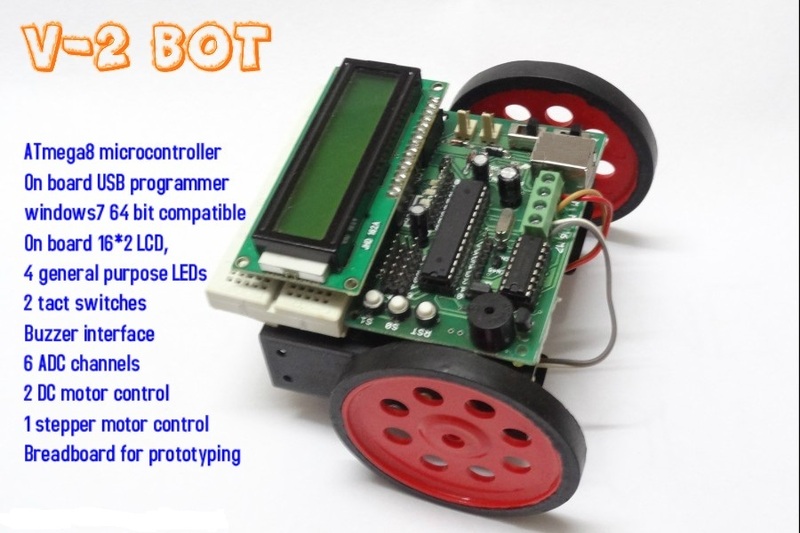 This session deals with Interfacing DC motor to the AVR microcontroller and hands on performing operations like operating Motor speed and direction control. Note: The kits provided at the time of the Workshop are non-take away kits (you have to return the kits at the end of the session). with subject "AVR Embedded Systems Workshop"